Are We About To Be Screwed Again? The latest Development Plan for the Mixed Use Precinct of the Caulfield Village reveals once again the failure of this council to keep its residents informed as to what is really going on. Worse still, the proposed plans are another example of MRC profit making and to hell with the local community. Thus, the MRC keeps putting in amended plans and residents know nothing about the amendments and what concessions have undoubtedly been granted to the MRC and by whom! There has not been any formal council resolution on the 5th May 2015, nor any notice that amendments were sought. Why not? And who made the decisions and under whose authority? And as we stated in our previous post, who made the current decision to ‘refuse’ the new Development Plan and what were the grounds of refusal? Why aren’t residents informed as to what is going on until after the fact? Thus the percentage of family oriented three bedroom apartments is the wonderful number of 2.26% – whereas the documents claim 5%! We remind readers that council caved in on the requirement for 8 square metres of balcony on a previous amendment. Also the State Government’s Better Apartments is looking at legislating for a minimum size and 50 square metres is one suggestion. The ‘statistics’ used date from 2010 and ‘updated’ in 2013! No mention of course of impacts on Eskdale Road, Newington, and other local streets all round the precinct! Aspirations for the provision of affordable housing within the Caulfield Village development are expressed in the Incorporated Plan. In the current absence of a Federal or State Government scheme to support the development of affordable rental housing, BPG has given detailed consideration to how it might self implement an opportunity for affordable housing within its development that is suitable to Caulfield Village and the broader Caulfield context. The Caulfield Village & Affordable Housing Report at Appendix Q explores a variety of models that might be adopted to facilitate affordable housing opportunities within the development. It identifies the “Pathway to Ownership” model as the most appropriate having regard to the particular circumstances of the proposal and its context. Broadly, the model would offer assistance to low-to-moderate income renter households to purchase an affordable home in the Caulfield Village development by providing people in affordable or private rental with a savings record an opportunity for assistance to meet the necessary start up funds to facilitate ownership. Deposit subsidies from BPG to eligible participants also form part of the assistance package. The scheme would be administered by a community housing provider. It is anticipated that eligible purchasers would currently be living in community housing or private rental accommodation, with limited opportunities to otherwise enter the housing market. The added benefits of the scheme include the direct expertise of a community housing provider to assist appropriate and eligible candidates on the pathway to ownership, and the freeing up of low rental accommodation previously occupied by participants in the Pathway to Ownership scheme. Whilst the variously dated Incorporated Plan (ie some of the documents refer to the Incorporated Plan as being 2011 and other documents cite 2014!) stated that the maximum preferred heights for Precinct 1 was 5 storeys, we now have 6 storeys looming over Station St. This is because of the neat little trick perpetrated by the MRC and permitted by council of using the formula of AHD. This refers to sea level heights. Thus if the land is sloping, then instead of the preferred height of say 5 storeys, the MRC can build 6 storeys. Council of course, and all their expert planners, did not pick this up – or if they did, did not care! Thus we warn residents that the mooted heights of these building are just that – mooted and nothing is set in concrete! 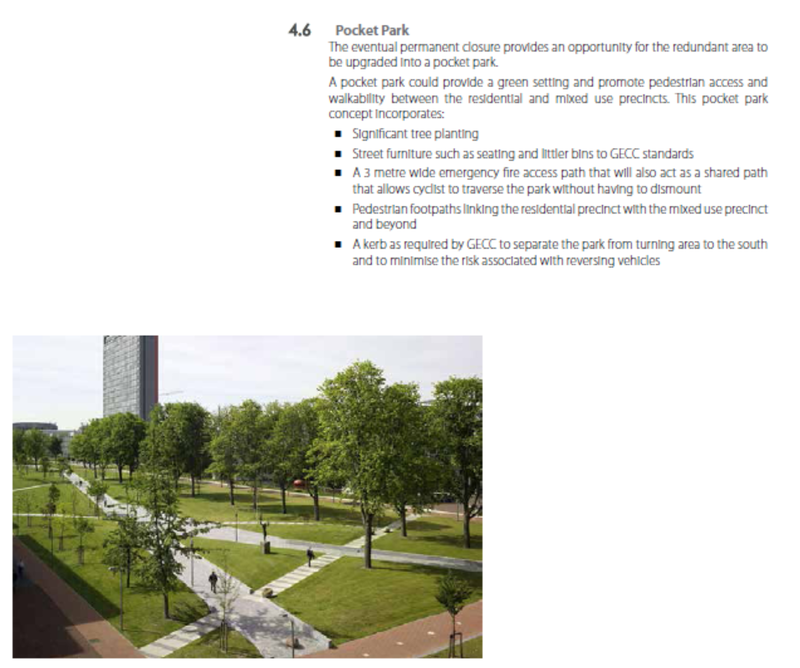 PS: stuck between the four building of 9/10 storeys, and 5/6 and 7/8 storeys, the MRC proposes to create a ‘pocket park’. The accompanying visuals are astounding: vast expanses of ‘open space’ that make the area look like a major park and not a ‘pocket park’. No real high rise to dominate the site; no overshadowing whatsoever, and nowhere in the landscape plan could we find any data which states the size and dimensions of this proposed ‘park’. What we do know at this stage is that 25 onsite trees will be removed and 14 street trees at least! Pretty obvious this development is designed to compliment the Immigration Centre (aka Monash Uni) next door. Like with the first precinct more than half of what they want to build is only one bedroom. The whole area will become bedsitters for students and renters even though student accommodation is forbidden by the plans. It is disgraceful that they can get away with this. Unbelievable. What a disaster. Words fail me. How can Council find a way to blame others for this! Minister Winn take note of what is happening in Glen Eira and stop the rot! governments were the ones who gave this mob some of the land to build. All in it up to their necks. Remember seeing that the 20 storey for the Smith precinct has climbed to 22 storeys. Lower the ceilings and they might be able to cram in 25 storeys.. Impossible to turn left or right into Kambrook now at peak hour. Will be ten times worse with another 5000 people at least living here. I cannot help thinking that this is another council ploy to avoid the embarrassment of making any decisions. Handball it all to vcat so they can be blamed. A private developer who paid as a first installment the sum of $15 million for development rights. Several other payments are still to come according to the MRC Annual Report from last year – and we are not even sure if that is for the entire three precincts and how many more payments will be made. The MRC is also a ‘partner’ and receive a share of the profits from the sales. Something is terribly terribly wrong when this sort of planning is allowed to happen and residents are not given a say that carries any weight. I do not pretend to know the whole history of the Caulfield village but enough to know that like the racecourse business these councillors have let the community down. The lack of family sized apartments is good financial sense. Wouldn’t think that too many families would want to spend close to a million and be surrounded by another 2000 one bedroom places, renters, and students. This is all about profit not community. They need to change the name. Hardly a village. https://www.g1x.com.au/news/racing/can-trackwork-realistically-start-later interesting apparently the public is free to use after 930. Propose to change lease so they can use all day! My guess would be that the changes have nothing to do with public access or trainers and more to do with 2 fatalities at Caulfield in the last year plus a few other incidents. Training horses in the dark is disaster waiting to happen. they could train at Pakenham. Any time of day or night! Problem solved!